Visit Our Online Store!Find tools, heirloom seeds, + great garden resources! 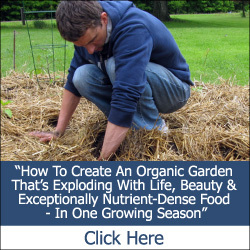 Does your garden need support? 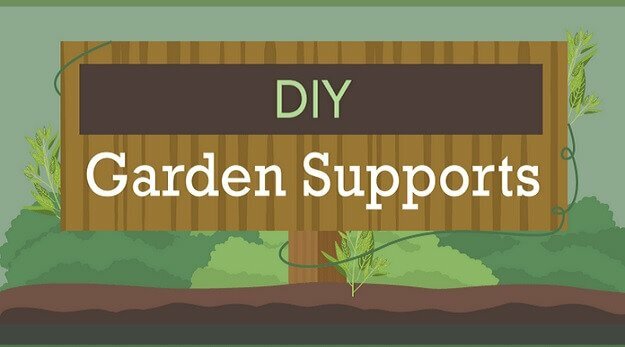 Here’s how to build your own DIY garden supports for healthier, happier, more productive plants! 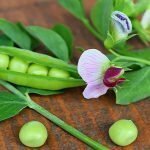 While some garden plants do just fine standing on their own, many others require some type of support for maximum health and productivity. 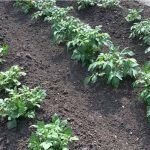 Tomatoes and peppers, for example, will benefit greatly from supports. So will cucumbers, some melons and squash, beans and peas, and bramble berries such as raspberries or blackberries. There are a number of benefits that providing proper supports can provide for your plants, such as improved air circulation to prevent disease, making crops easier to harvest, and making use of vertical space so that you can comfortably fit more plants into your available garden area. 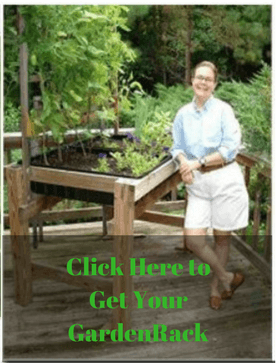 Of course, you could always go out and buy a trellis, but it’s actually quite easy to make your own supportive structures for your garden – and it allows you to customize the design of your supports to your plants’ specific needs. Sometimes you can even give old furniture pieces – such as bed frames or old screen doors – new life in your garden as garden supports – without having to buy any materials at all! The infographic below will give you some great ideas for what types of supports work best for which plants, what supplies you will need to build your own, and more. For more information, including detailed building instructions, just visit the link at the bottom. Thanks for sharing useful tips. I will try to use them. Thanks Rod – glad you enjoyed it! Thanks for sharing great article. Gardening is my hobby. Hope to look forward for your gardening related posts! This site contains affiliate links. If you make a purchase through a link in one of our posts or pages, we may receive a small commission – at no additional cost to you. 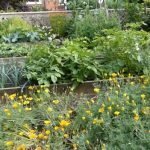 This helps us to cover the costs involved in bringing you valuable sustainable gardening information on an ongoing basis. We appreciate your support! 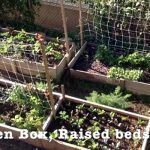 Save Your Back With a GardenRack! 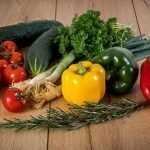 [Video] How Much Salad Can You Grow In 42 Days? 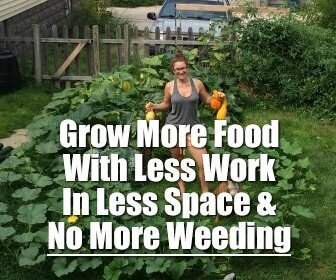 Copyright © 2019 Sustainable Gardening News. Material Connection Disclosure: We are often compensated for products we link to. Click here for details.